The primary threat to an orderly Brexit is the question of the Irish border, but the status of Gibraltar occupies a similarly awkward position in the negotiations. Even more so than Northern Ireland, the territory is fiercely opposed to measures compromising British sovereignty but is economically reliant on a frictionless border with its EU neighbour. For now, the debate is focused on whether Spain will leverage its veto over any withdrawal agreement to extract concessions from the UK government. In Gibraltar itself, the inhabitants are facing up to life outside the EU. Despite the remain campaign winning 96% of the vote on the Rock in the 2016 referendum, Gibraltar’s inhabitants see opportunities outside the bloc. The Government of Gibraltar has cited the end of EU state aid rules and regulatory burdens on the telecoms sector, and the financial sector is positioning itself as an access point to the UK market for European companies. In the latter sector, over 90% of trade is with the UK. It has spurred regulatory innovation into new niches, notably in the blockchain space. However, the Government of Gibraltar admits that the “few opportunities worthy of mention” are offset by the numerous challenges that need to be resolved to avoid serious dislocation. While the EU maintains that a bilateral agreement between the UK and Spain on Gibraltar is a prerequisite of a wider deal, Gibraltar risks becoming a bargaining chip. Gibraltar relies on over 11,000 “frontier workers” who commute daily from Spain, who are subject to border controls that fluctuate depending on the political climate in their home country. The government estimates that 40% of jobs in the territory would be at risk if a hard border was imposed. Residents of Gibraltar currently depend on access to Spain for almost all imports, over half of the tertiary health care referrals, and nine million tourist arrivals each year. In the longer term, the financial industry risks increased competition from rival EU jurisdictions and European economic sanctions targeting low tax regimes outside the bloc. The threat of such sanctions could prompt Spain to push to share tax information with Gibraltar, which is considered a tax haven by officials in Madrid. Aviation is another historic flashpoint in bilateral relations, due to Spanish claims on the peninsula’s airport. Sharing anything with Spain would be anathema to the Gibraltarian authorities, who deny that a bilateral agreement is necessary. 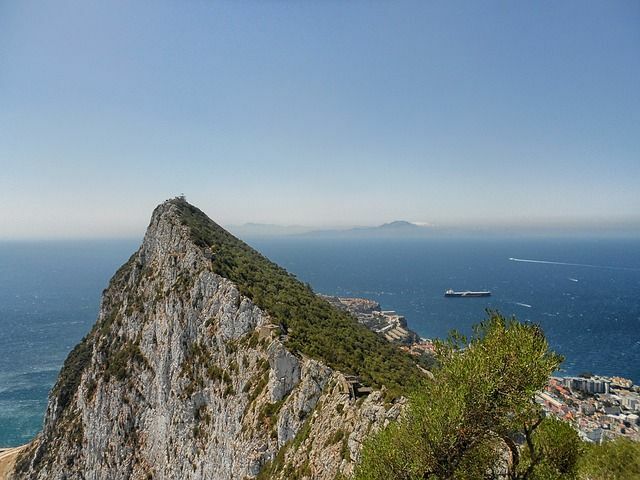 In negotiations with the EU, Gibraltar benefits from popular and cross-party support in Westminster; a recent poll found that English voters would rather see Scotland and Northern Ireland leave the UK than Gibraltar. Gibraltar was also explicitly included in the draft transition agreement of March 2018. However, this is subject to final ratification, and the territory's unique situation ensures that it faces pervasive uncertainty beyond the transition period.